Most of the time, Cancer and Aries are in an active confrontation. Cancer belongs to the elements of water, he is timid, slow, does not like big, noisy companies and often hides in his shell in case of danger. Among the partners is looking for someone who can become a strong support and protector for him. He is endowed with a subtle spiritual organization, very touchy, painfully receptive to criticism. Long looks at people before they let them close. Aries is the opposite of him. The fire element, to which he belongs, gives him an explosive nature: a restless, active, straightforward and hard character. On the one hand, Cancer attracts the sign of fire with its sensitivity and gentleness. A water sign sees in the partner is the one, a strong back, for which he strives to hide from life’s adversity. But on the other hand, after a while, these qualities, which they liked each other, start to cause them unpleasant sensations. Cancer is frightened by the strong, and sometimes aggressive pressure of Aries, increasingly hiding in shelter. And Aries begins to irritate the emotional instability of the partner, his insecurity and frequent mood changes. 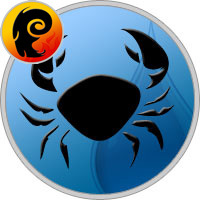 Signs of water and fire have different temperaments and vital values, their elements are in confrontation, and yet the compatibility of Cancer and Aries can be beneficial. Both have one significant quality for two: they love to take care of people who value them. Cancers are a sign of the family, they scrupulously grow their shell and are ready to let in the most expensive and loved ones, sharing shelter and food with them. In a close and kind environment they feel protected. Aries are more independent and less dependent on people and their opinions. Finding a close spiritual connection with someone, the fire sign will protect and protect it to the very end. By nature, they are defenders, so they will not hurt a significant person. The compatibility horoscope of Cancer with Aries is not perfect, but is above average. This means that signs can easily get along together, but between them there will be a lot of tensions, misunderstandings that they will have to survive and jointly settle through negotiations and mutual concessions. The mutual desire to be together will help them to go through all the difficulties. Aries is able to appreciate the gentle soul of a partner and to behave with him more carefully, slow down and give vent to feelings. A Cancer can get used to the ardor and rigidity of a partner, without focusing on this. In return, everyone will receive a caring and loyal partner for a long time. The compatibility of Cancer and Aries in work can be very fruitful. Signs vary in many parameters, but it is this fact that enables them to successfully complement each other. The water element can sit for a long time and zealously for the development of a profitable plan, and the sign of fire, thanks to its powerful energy, is able to achieve anything. Cancer is more far-sighted and will be able to keep a partner from hasty decisions and possible mistakes. Compatibility Cancer with Aries in friendship can be very successful, especially if it was born at an early age. Cancers value strength and devotion in a friend, learn perseverance and confidence from him. Aries respects honesty and openness in people, which is Cancer. True, sometimes a fire sign can find such a quiet friend for boring and dull. In a more mature age, their friendly relations are reminiscent of the interaction of the king and the suite, where the confident, imperious king is Aries, and Cancer is the entourage worshiped before him. As a rule, the initiator of their acquaintance is the confident Aries. He is like a real warrior, possesses the instinct of a hunter and seeks to win his victim. Most often, Cancer looks like this: shy, taciturn and insecure. Such mysteriousness attracts an ardent sign of fire. Compatibility Cancer and Aries in love is content with shaky: first the feelings that have broken out between them give them a storm of emotions and impressions. A gentle and caring representative of the water element is inclined to fantasize: he sees in front of him the same defender whom he has been waiting for all his life. Aries, in turn, is fascinated by the mystery of the partner and seeks to unravel him. A little later, the passions will settle down and the first disagreements will arise between the signs. Cancer with its vulnerable inner world requires special treatment: careful and courteous. Often he closes in himself and prefers solitude, which Aries can not understand and that there are forces trying to get to the depths of his soul. Naturally, the stronger its pressure, the deeper the sign of water hides in its shell. And if Aries does not get what it wants, it becomes very aggressive. This is where the breakdown of their relationship can occur. Therefore, the compatibility of Cancer with Aries in a relationship is a mixed phenomenon. If the signs stop and try to understand each other, they will be able to save the pair. Compatibility Cancer with Aries in bed can reach a high level if partners come to mutual understanding. A fire sign is ready to drive many hours of marathons, guided only by their lust. He does not need preliminary caresses for this, he is always on the alert. His gushing energy and stamina make him a relentless lover. But Cancers in bed require something else: they love a long prelude, they spend a lot of time organizing a romantic atmosphere, for them the inner mood and harmony of feelings is important. Cancer behaves carefully, trying to deliver a real pleasure to the partner. The sign of fire does not understand sentimentality, it strives to get everything it wants and as soon as possible. Each of them tries to lead the process, to arrange everything in its own way. Accustomed to be everywhere the first and main Aries does not tolerate this. But Cancer, in spite of its external weakness, will not allow it to be thoughtlessly used. Even the mad pressure of Aries is not capable of shaking his pride and obstinacy. Astrologers recommend that such a couple talk more often about their desires and achieve optimal compromises before they enter the bedroom. The compatibility of Cancer and Aries in marriage is a business that has been acquired. Between the signs there are many contradictions due to the difference in their outlook, temperaments and characters. If these two have reached the wedding, then their feelings are really strong, and the desire to be together is really sincere. These facts are an excellent basis on which they can build strong, reliable relationships and carry them through time. Aries are very jealous by nature, they seek to control their beloved person in everything, to know about his every step and sigh, about his thoughts and actions. Sometimes this attitude is like tyranny, but it seems normal to the sign of fire, because he tries to keep his partner, to protect himself from loss. Cancers, of course, need a patron, a stronger partner who will protect and solve joint problems, but Aries sometimes strangles with his behavior. The aggressiveness and excessive aggressiveness of the fire sign brings to the representative of the water element awe and horror. Their tender nature can not withstand such tyranny. As a result, Cancer can just throw everything and escape from such an uncomfortable relationship. Thus, the compatibility of Cancer with Aries in family life will depend entirely on them themselves. Whether they can understand each other, stop insisting on their own — depends primarily on personal horoscopes and natal charts of spouses. Cancers need less attention to their person and more open to the world. And Aries can not stop caressing his egoism, more often becoming a favorite person and giving him more freedom. And then Cancer will create a warm cozy atmosphere in the house, and Aries will take care that no one breaks it. Compatibility will be more successful in a pair where the fire sign is a man, and the element of water is a woman.